Contite HPWM – Cormix International Limited. 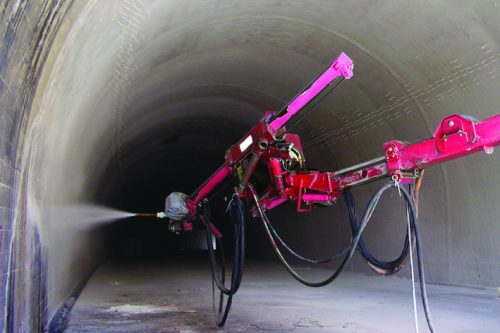 Easy & fast installation by spray up to 150-180 m rates 20-25 m2/ hr./ hr by robot. No joints, seams, waterstops section continuous waterproofing. Can apply over bolt head & plates. Slow installation rates 20-25 m2/ hr. Allow water movement behind it. Use in complex situations, drained & undrained. Interfaces easily with other systems. Rotor machine – easy application. No problems with difficult shape. Such as rock bolts. 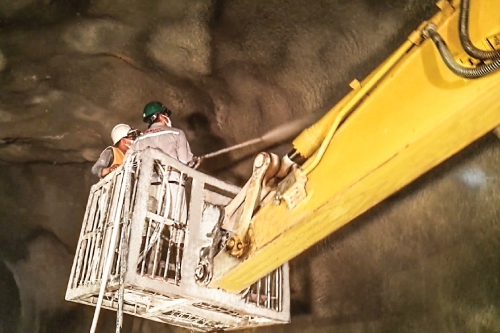 Reduce thickness of overall lining.